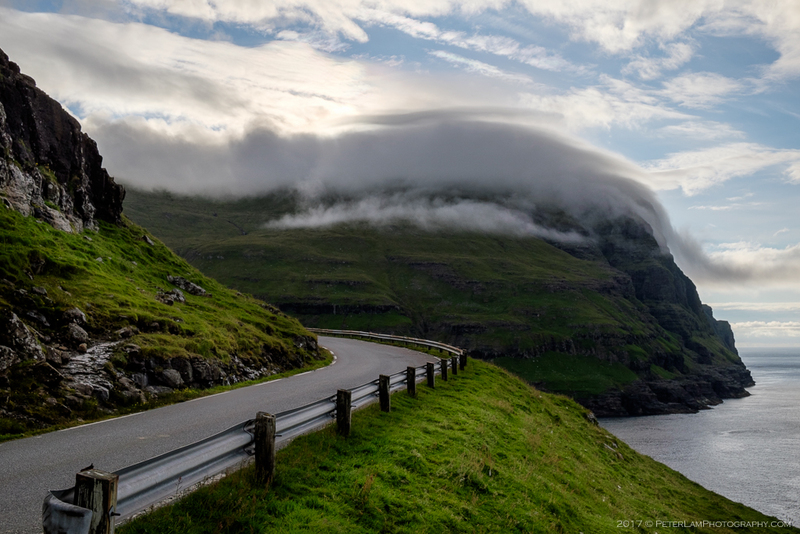 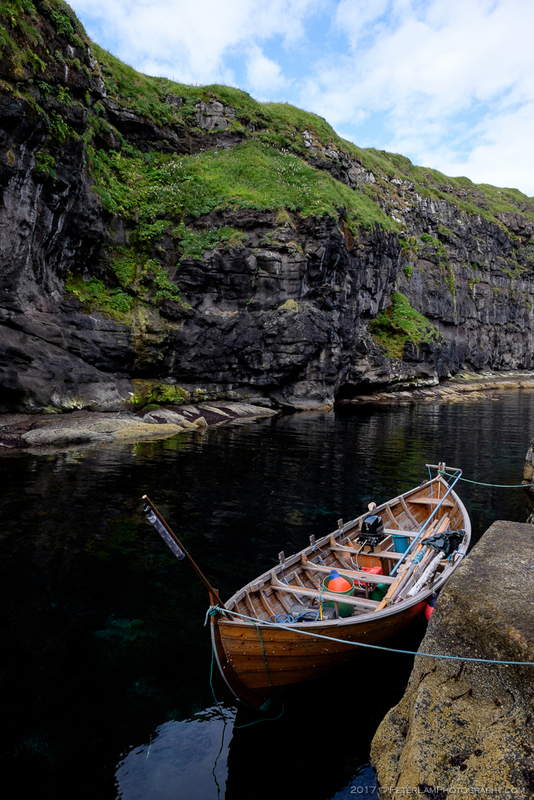 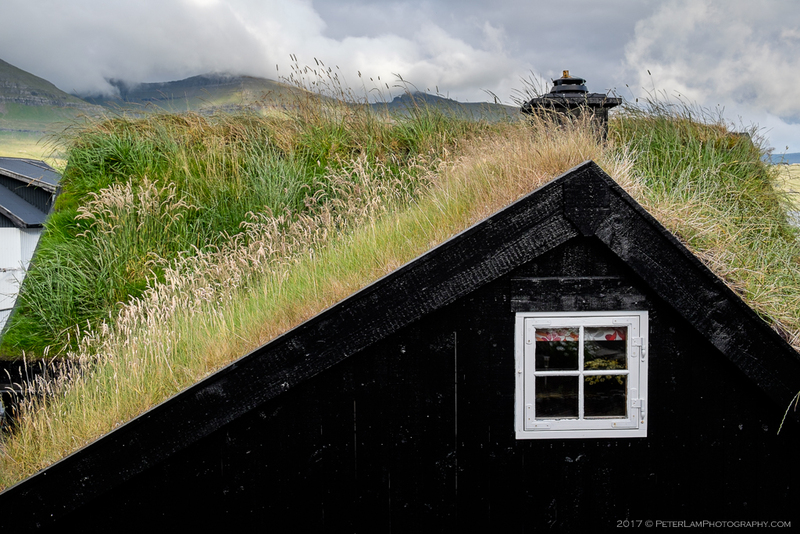 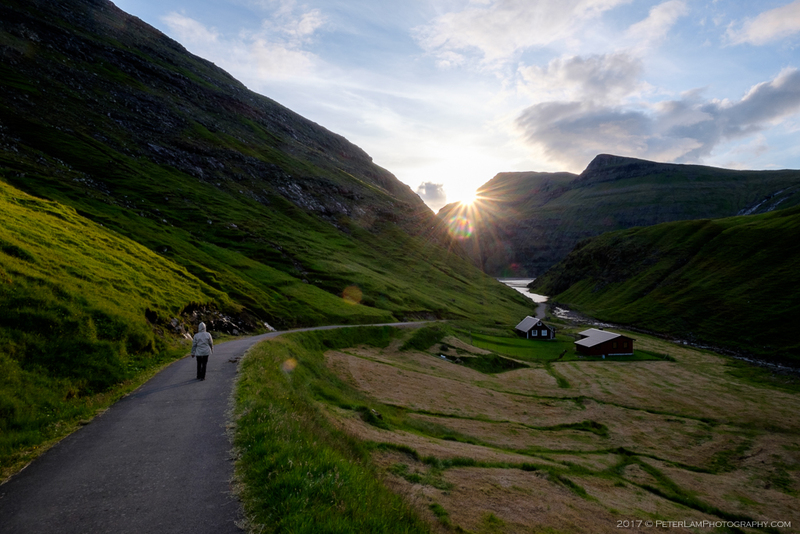 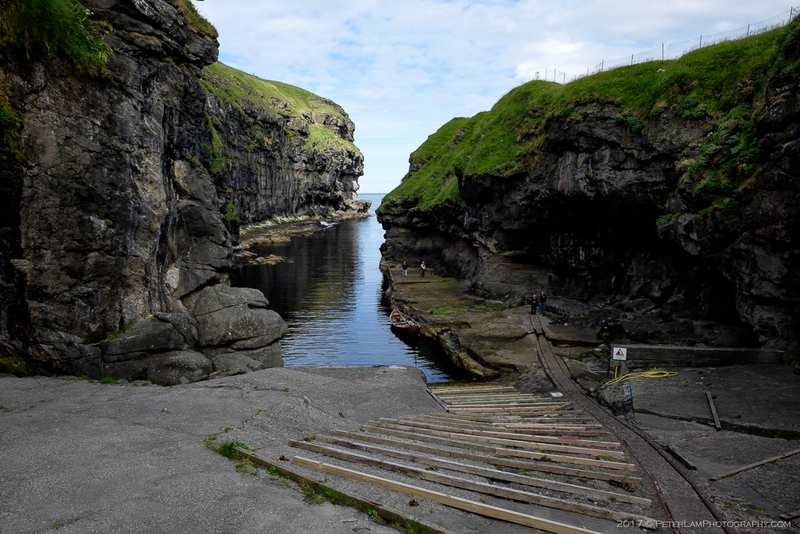 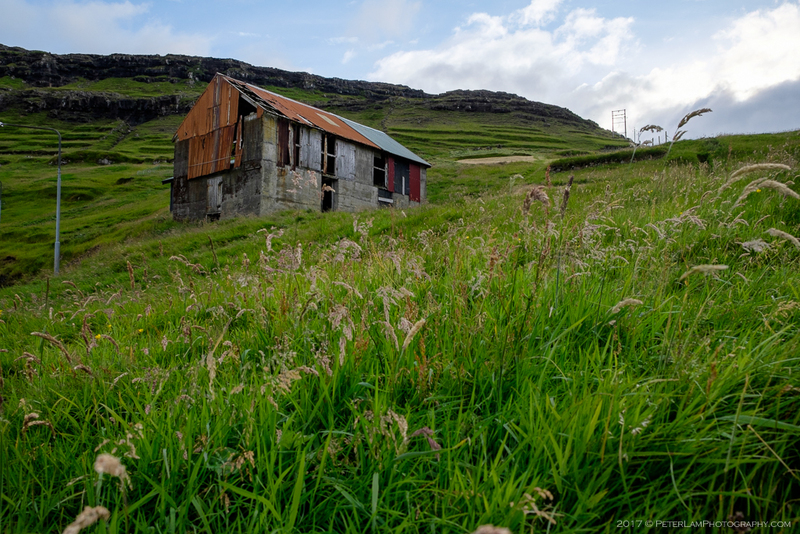 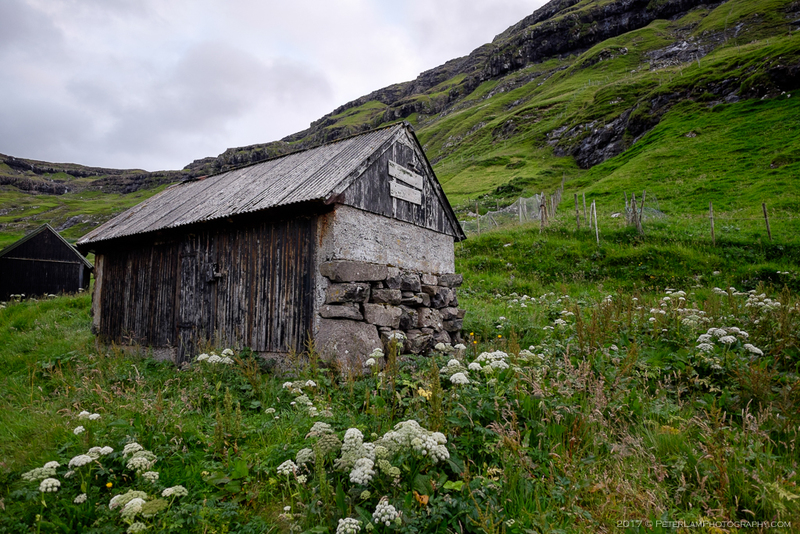 In addition to better weather, a summer time visit to the Faroe Islands also provides plenty of daylight hours (16+ hours) for leisurely exploration of the countryside. 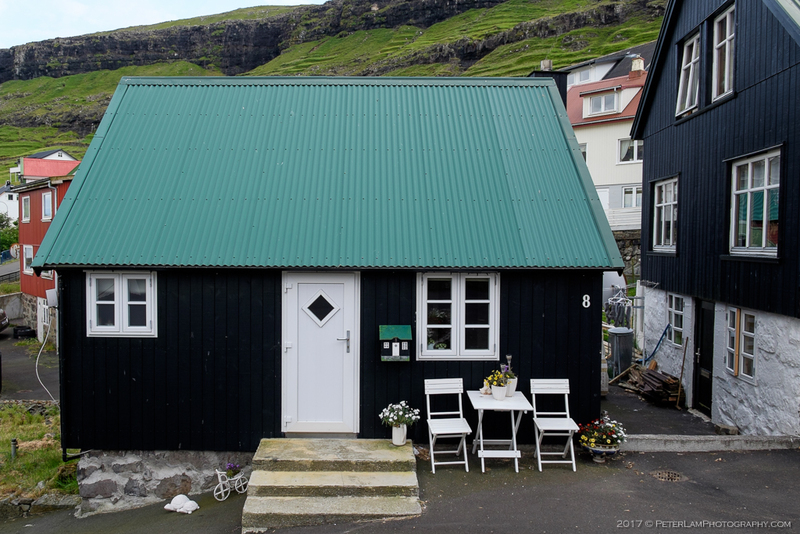 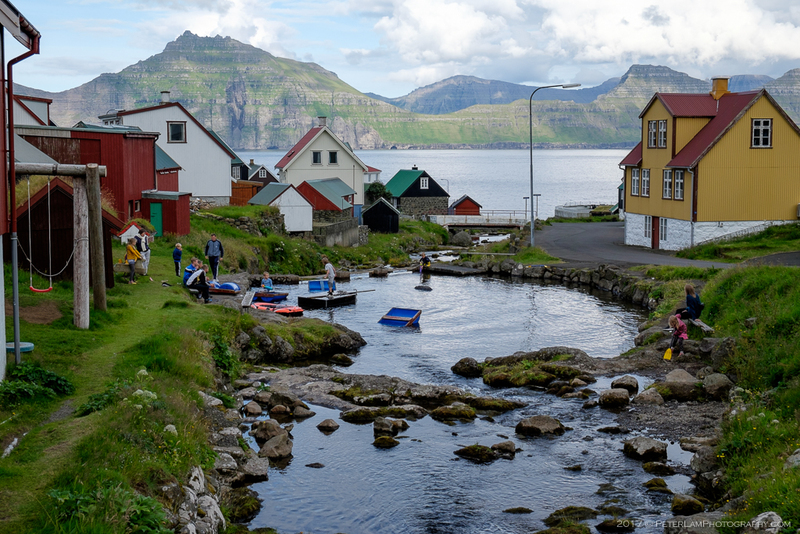 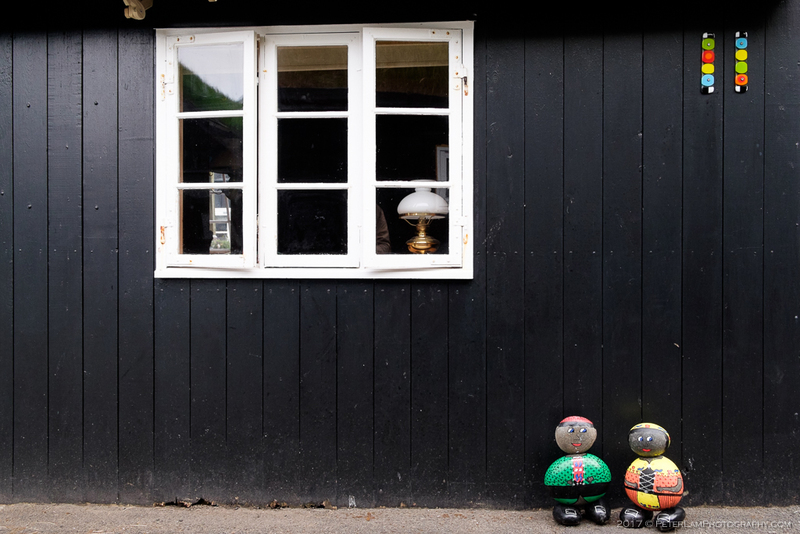 Between our hiking activities, we spent some time in the small villages scattered across the north of islands. 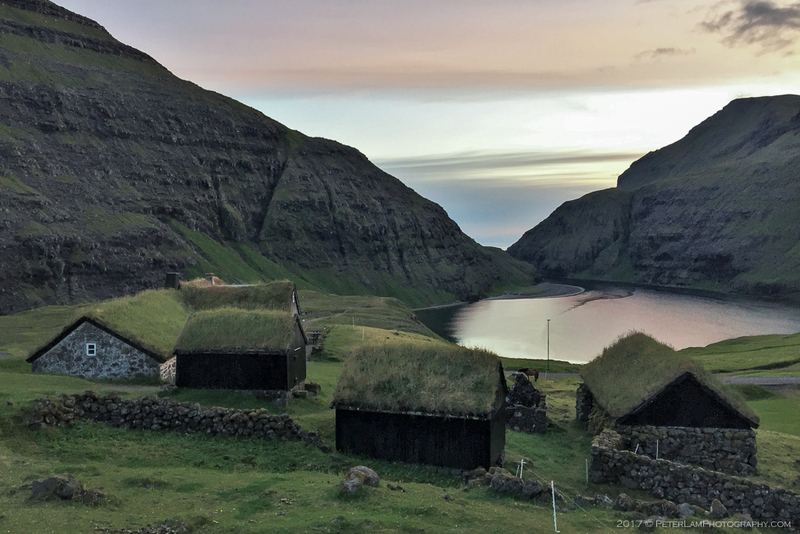 Nestled in valleys surrounded by towering cliffs and deep blue fjords, these beautiful settlements are like picture perfect postcards. 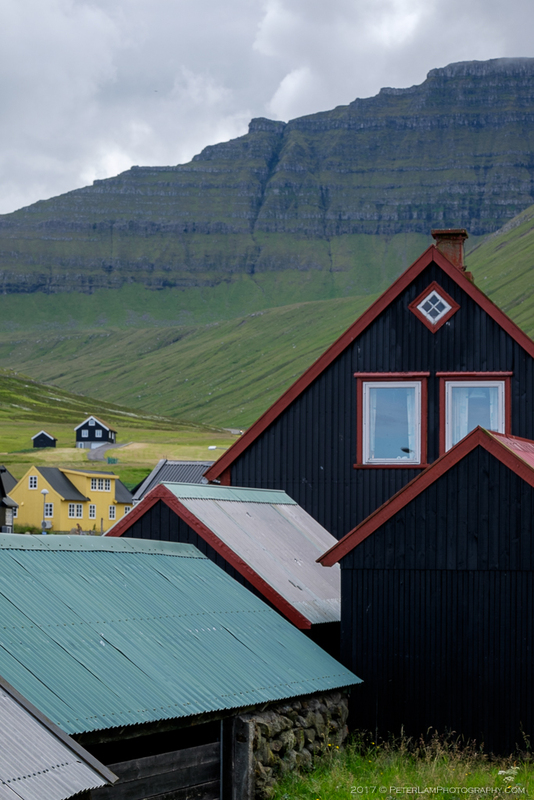 The colourful houses look like little jewels against the dramatic landscape of lush greens and sparkling blues. 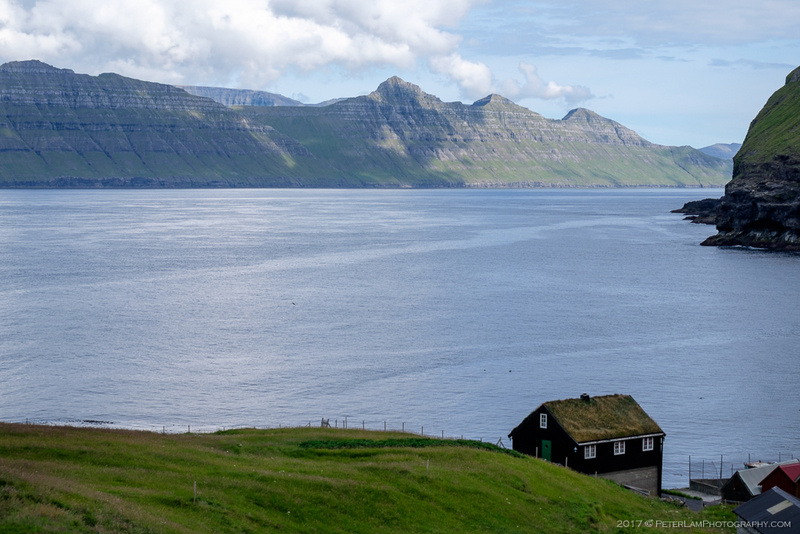 On Eysturoy, the we visited the idyllic village of Gjógv; and on Streymoy, the villages of Haldarsvík, Tjørnuvík, and Saksun. 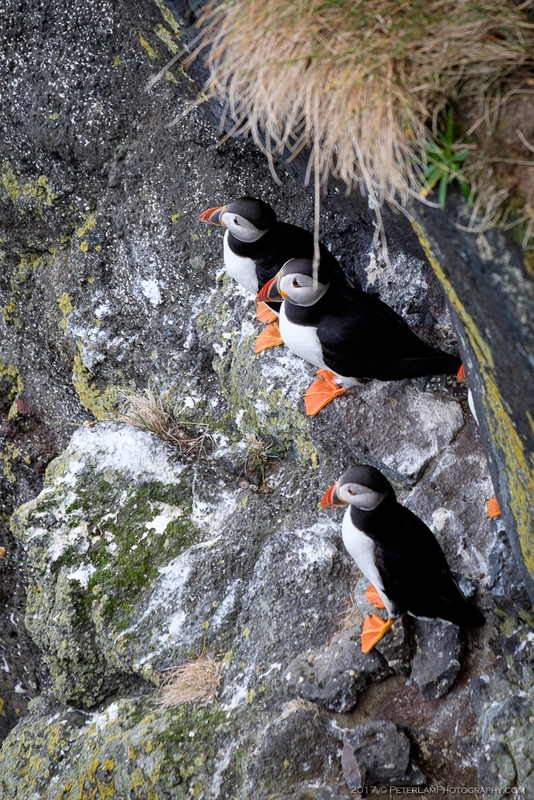 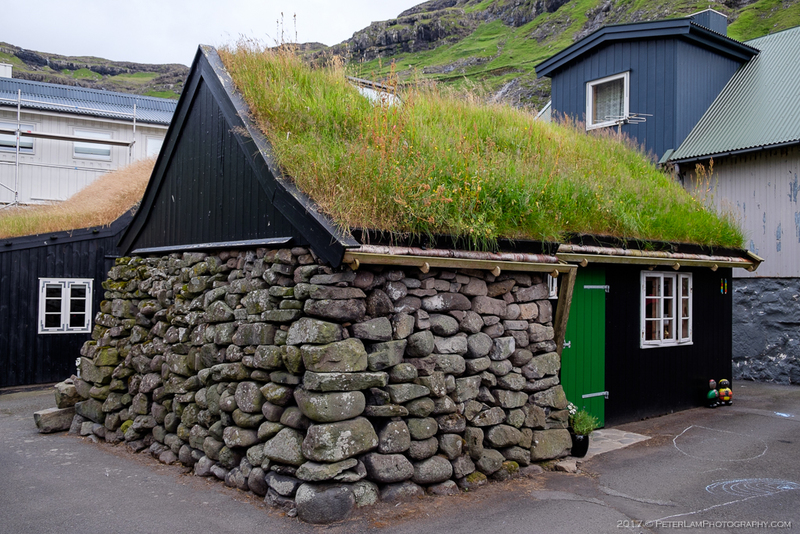 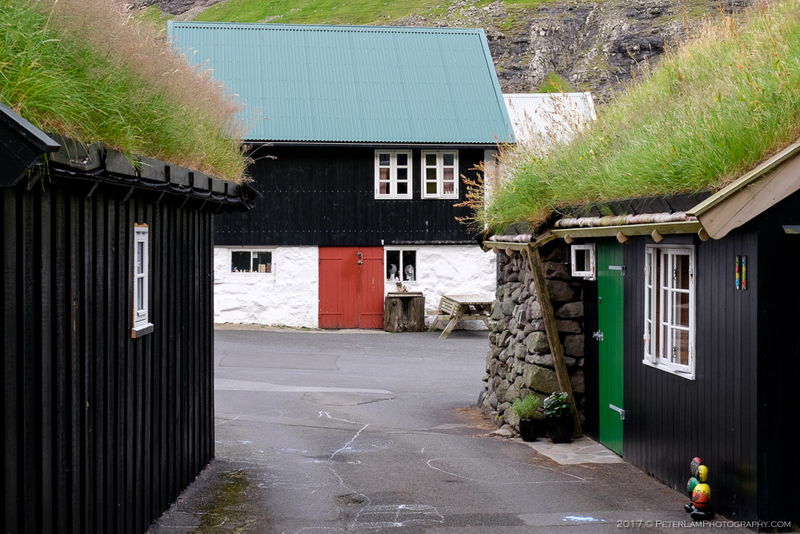 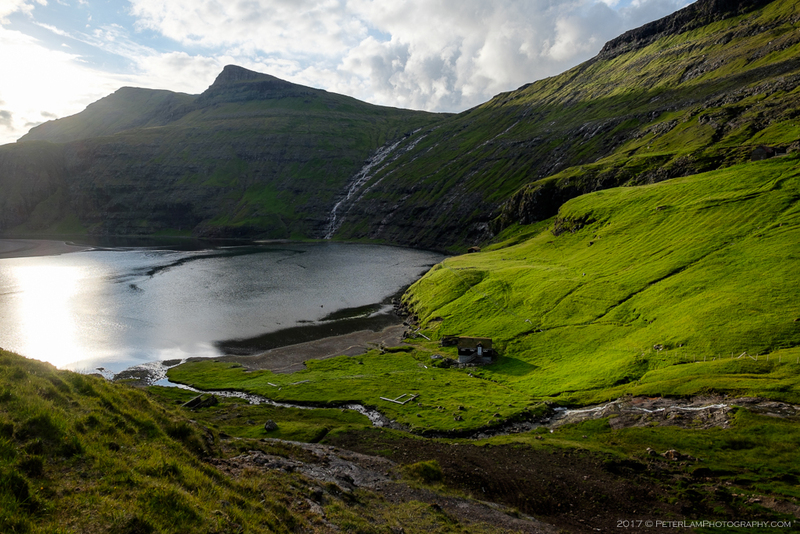 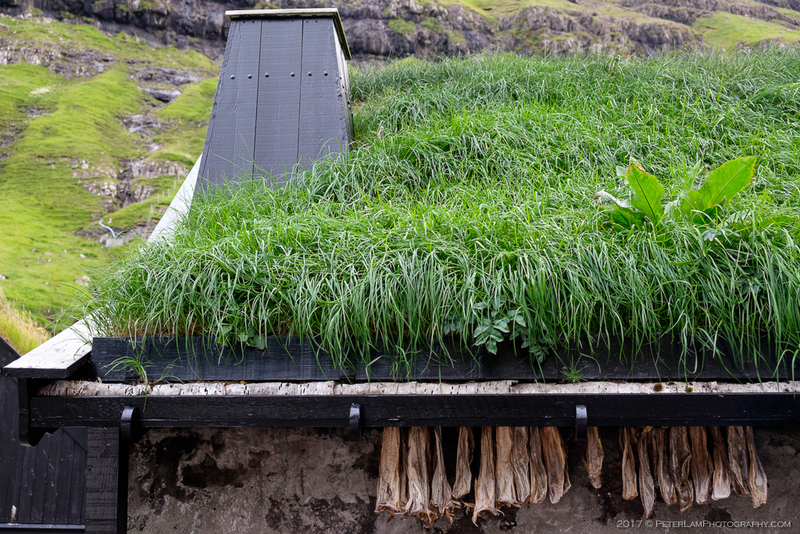 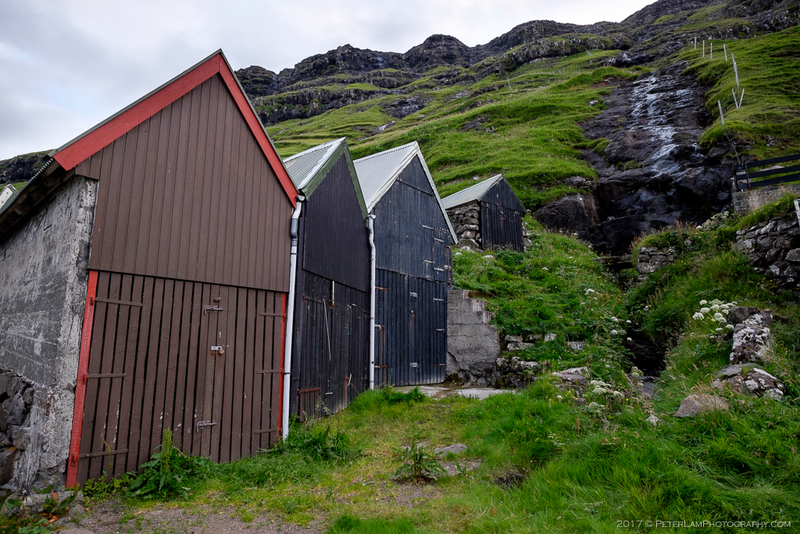 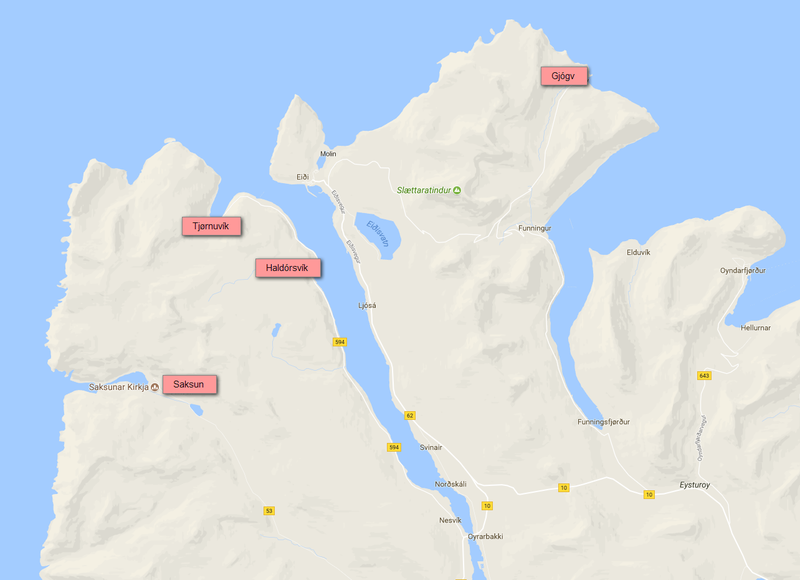 These are some of the most remote settlements in the Faroe Islands. 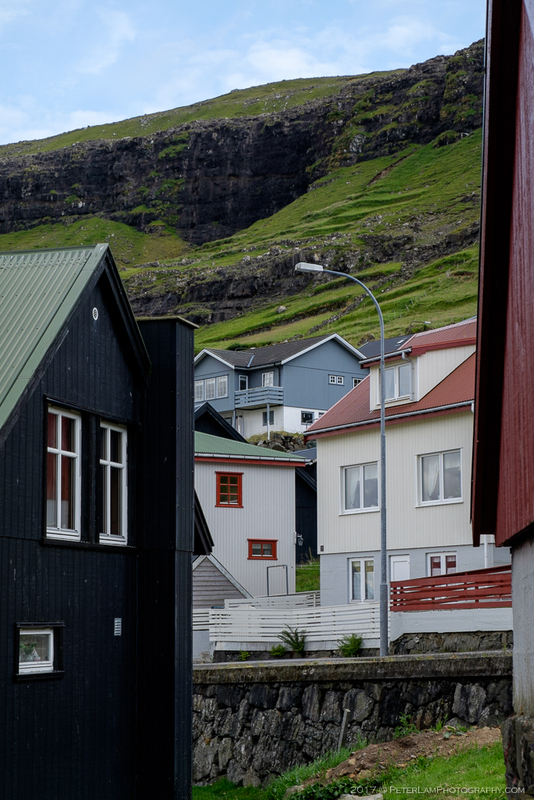 Picturesque Gjógv is the northernmost village on Eysturoy island. 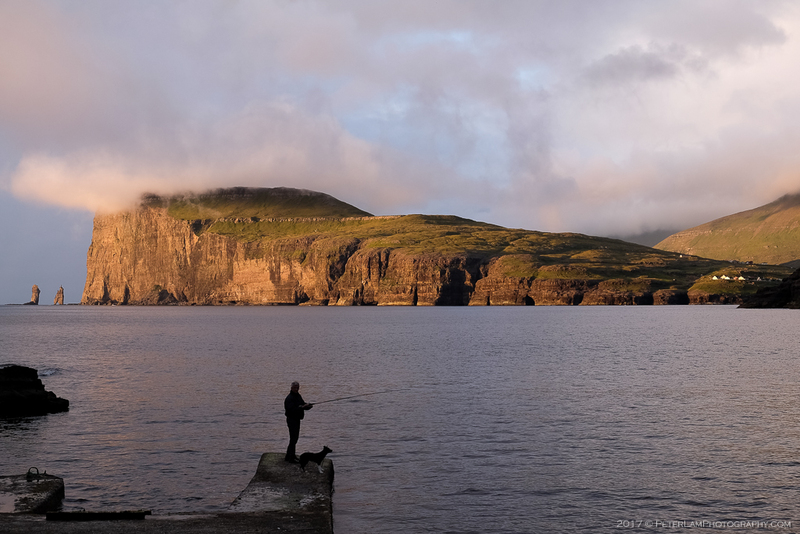 Its name is Faroese for “gorge” and is named after the 200m long sea-filled gorge that runs from the village harbour to the ocean. 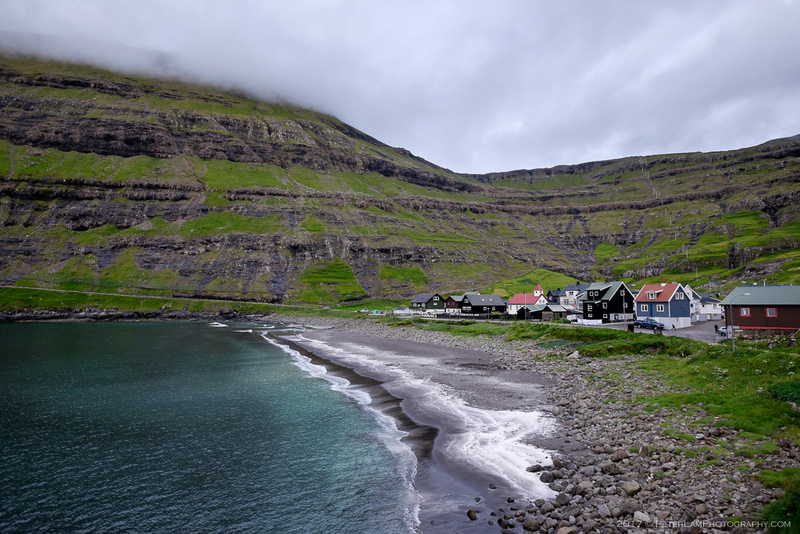 With only 50 residents remaining, this is quiet and idyllically beautiful settlement nestled between towering peaks and crashing ocean waves. 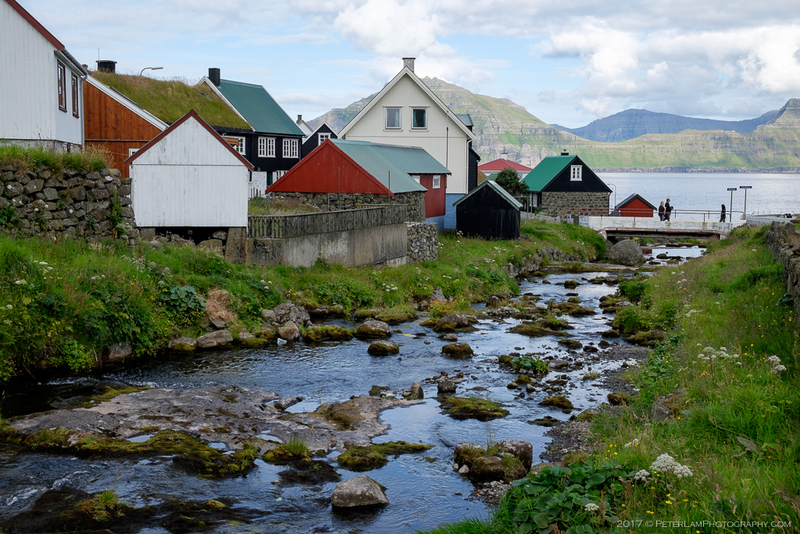 There are numerous hiking trails in the area, including a challenging one that leads to the top of Slættaratindur. 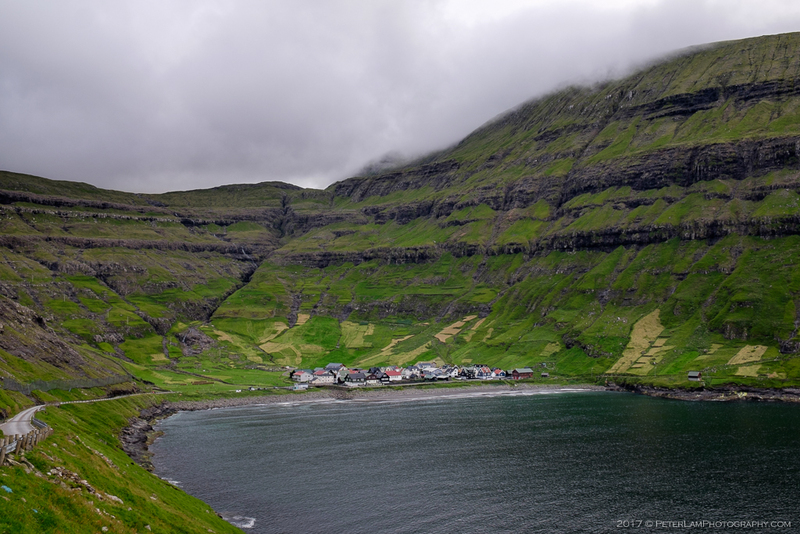 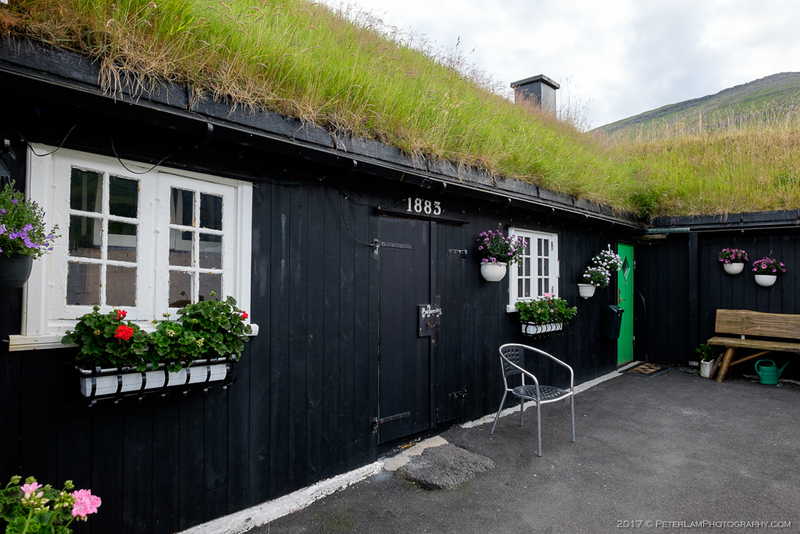 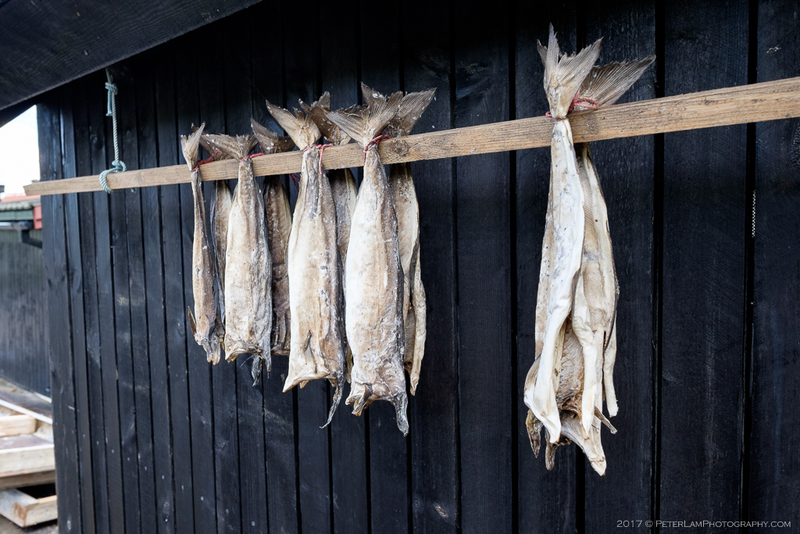 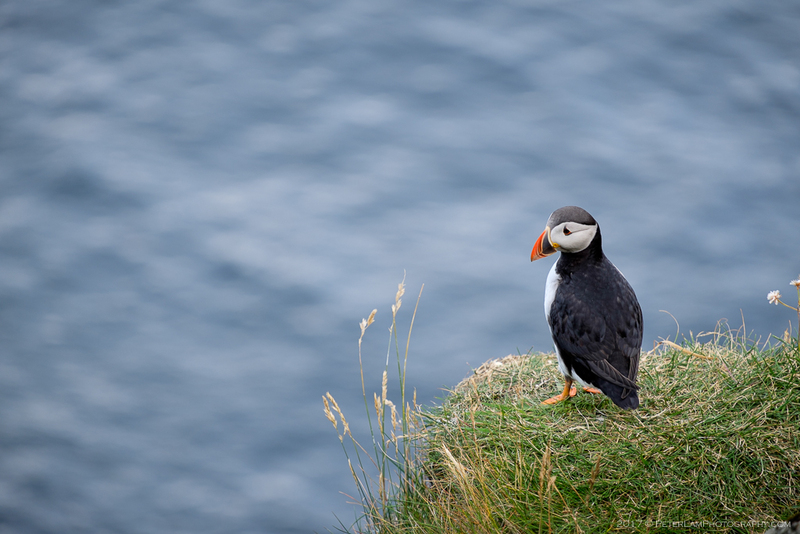 One of the most remote villages on the Faroe Islands, Saksun is located on the northwest coast of Streymoy island. 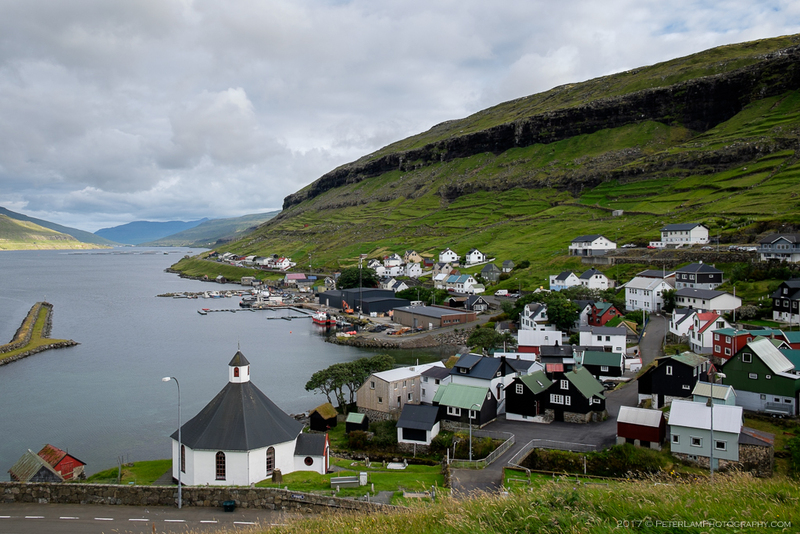 At the end of what was once a deep, narrow fjord, this tiny village of 14 inhabitants offers spectacular views of a natural amphitheatre enclosed by steep cliffs. 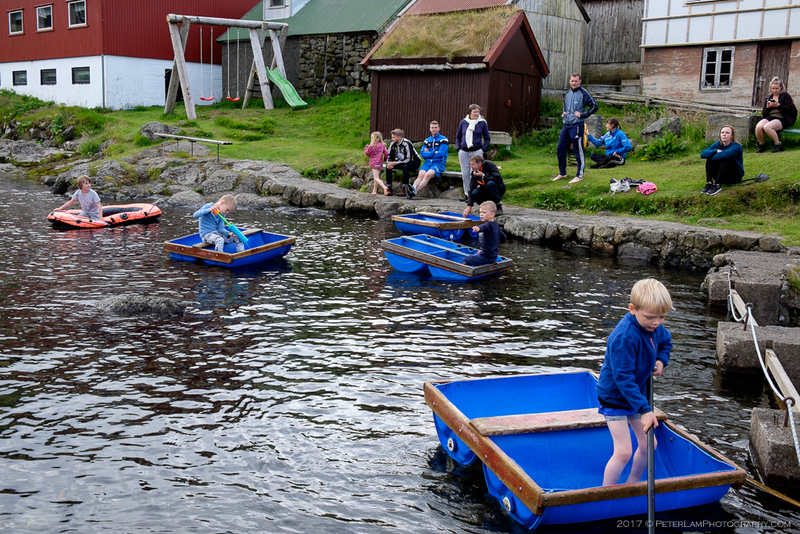 Some time ago in the 1600s a huge storm blocked the inlet with sand, turning the fjord into seawater lagoon – the harbour is now accessible only by small boats during high tide. 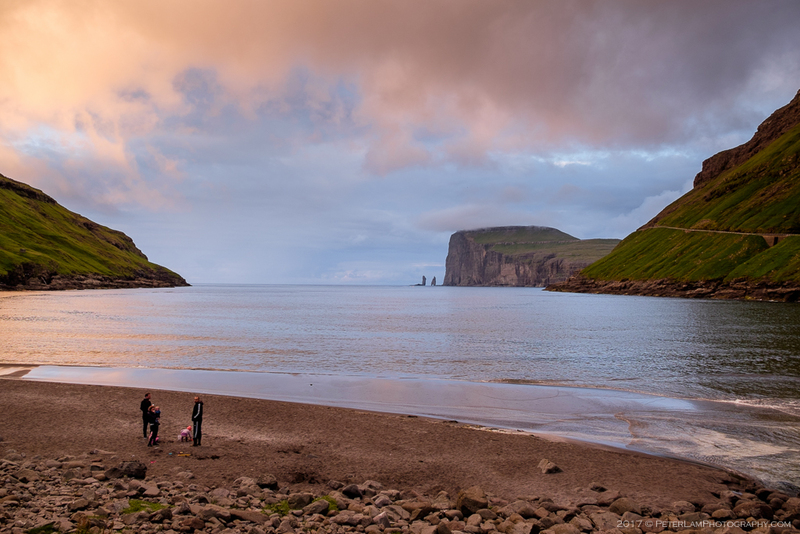 At low tide, it is possible to walk along the sand and out to the ocean headland and beautiful beaches beyond. 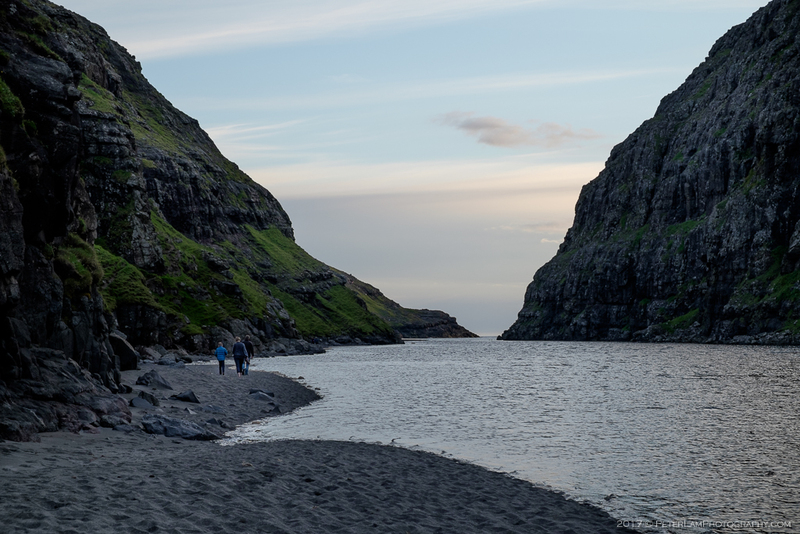 We met a friendly local who encouraged us to make the trek (despite the failing daylight and the rising tide), but we only made it half way before turning back. 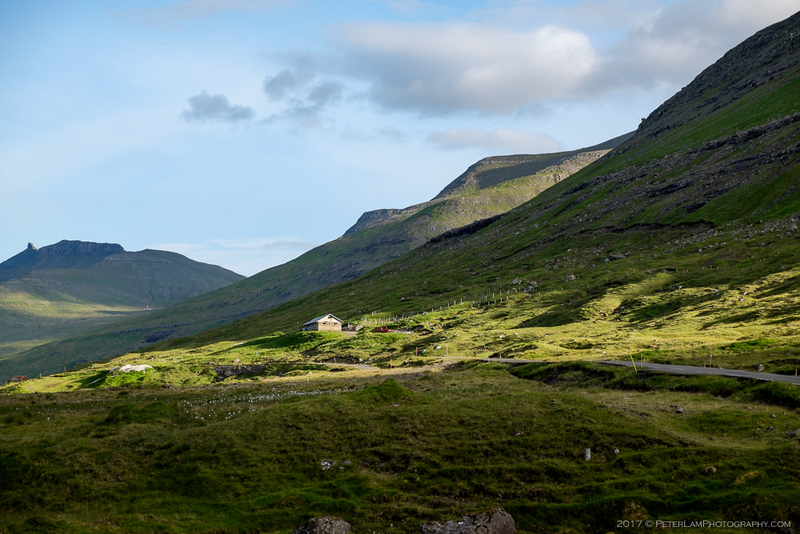 This is a magical place! 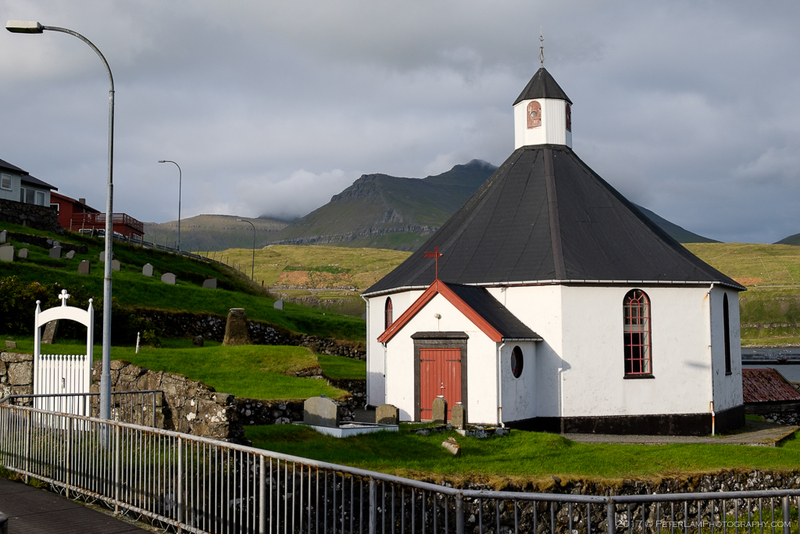 Haldórsvík is located on the north-east coast of Streymoy. 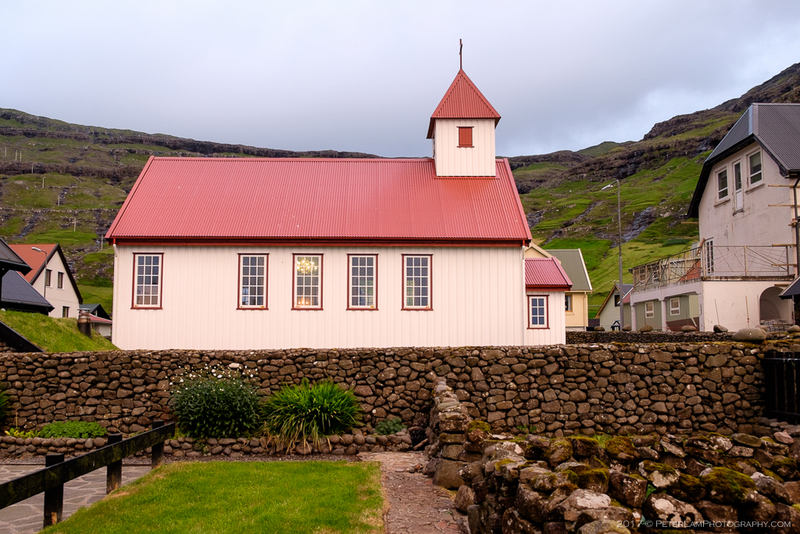 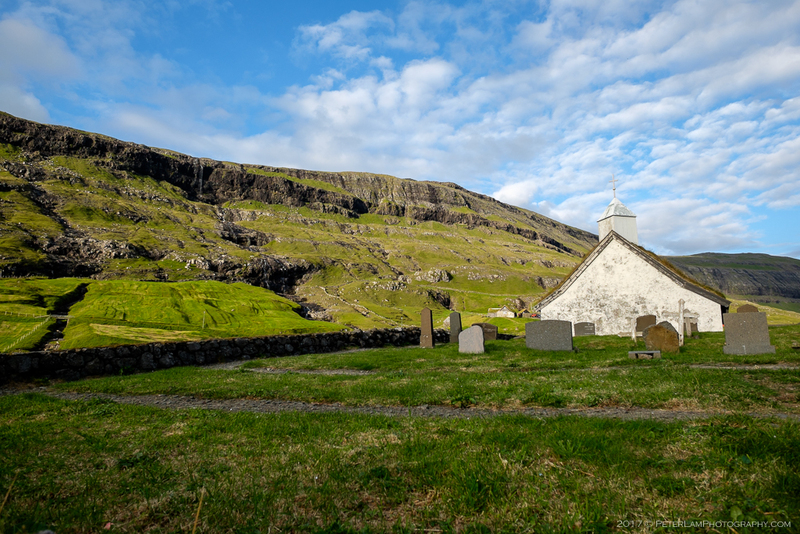 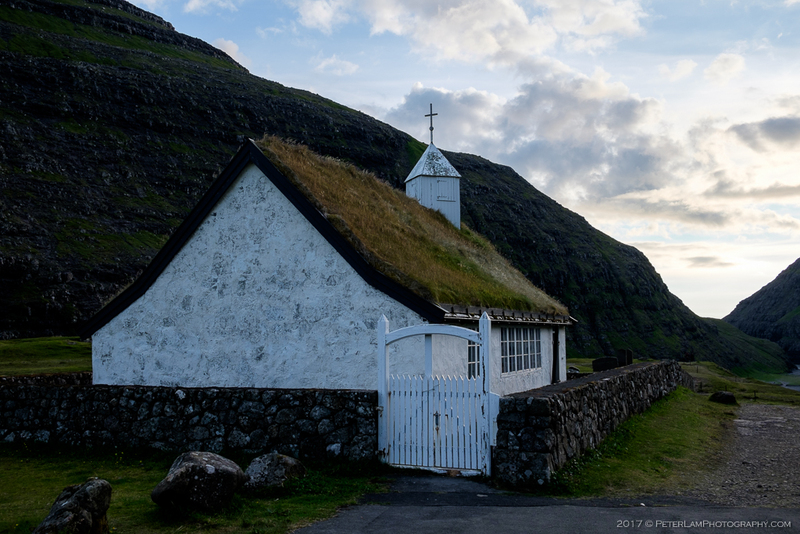 Its stone church dates from 1856 and is the only octagonal church in the Faroe Islands. 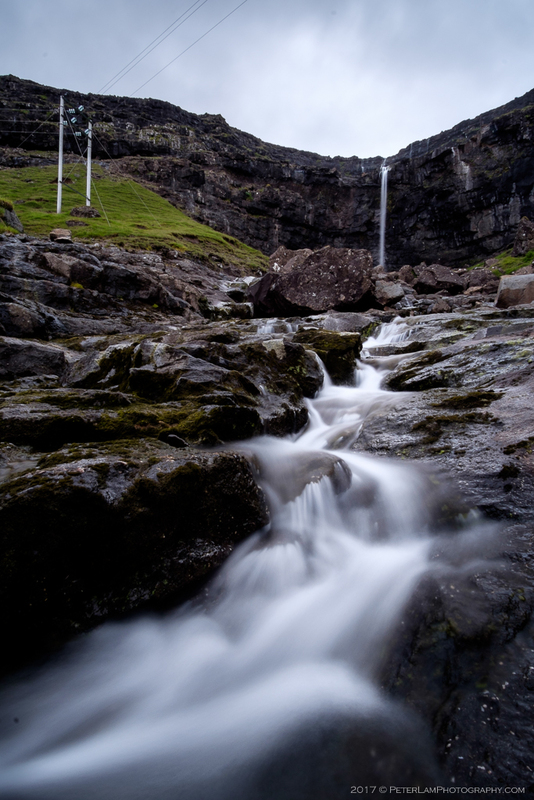 Just south of the village is the Fossá Waterfall, a two-level waterfall that at 140m is the highest in the country. 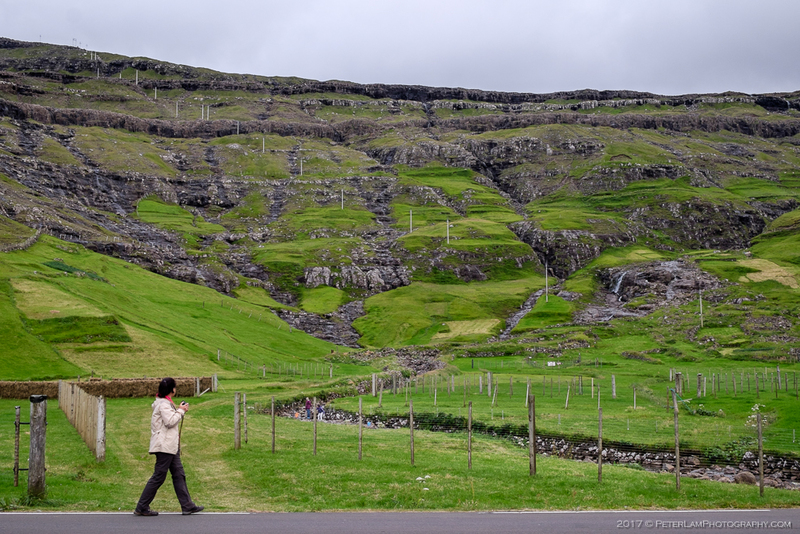 The falls are best viewed from a distance, and on a rainy day – when we visited, there wasn’t much water flow at all. 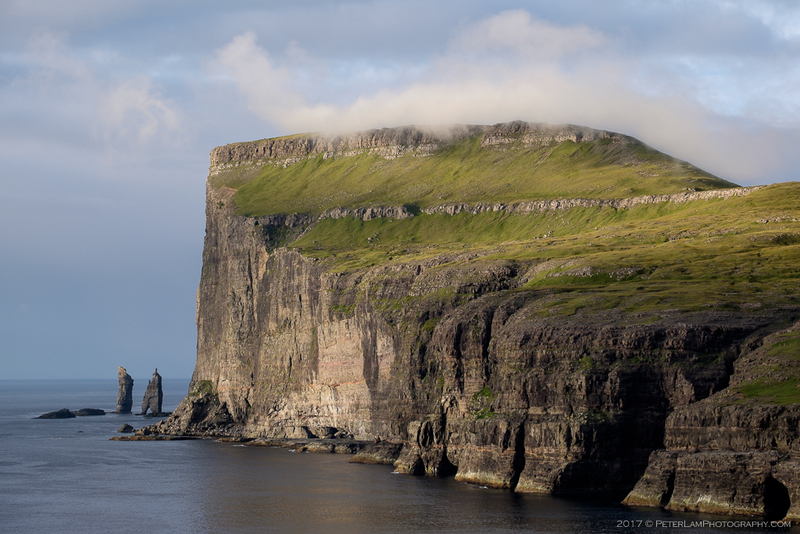 A legend tells how, once upon a time, the giants in Iceland were envious and decided that they wanted the Faroes. 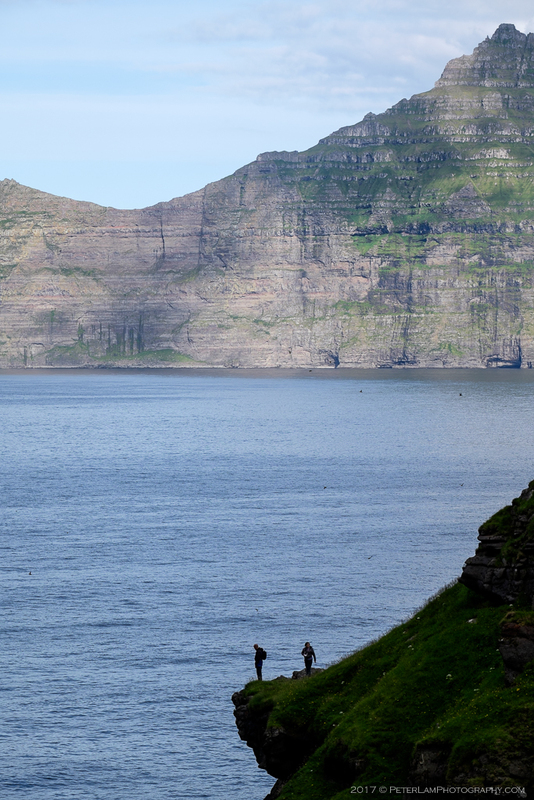 So the giant and the witch (his wife in some versions of the story) were sent down to the Faroe Islands to bring them back. 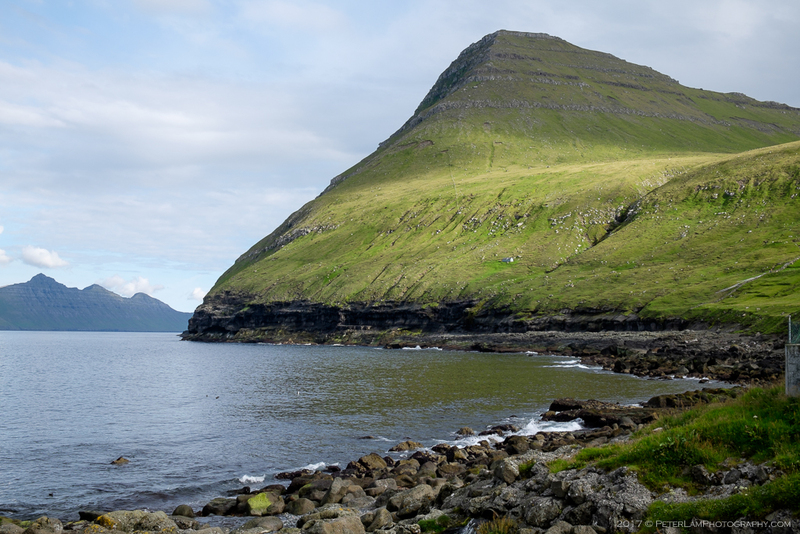 They reached the north-westernmost mountain Eiðiskollur, and the giant stayed in the sea while the witch climbed up the mountain with a heavy rope to tie the islands together so that she could push them onto the giant’s back. 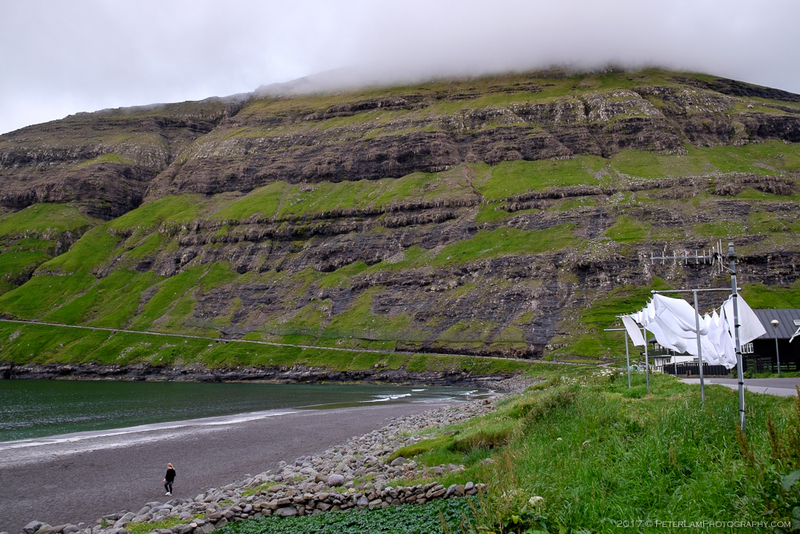 However, when she attached the rope to the mountain and pulled, the northern part of the mountain split. 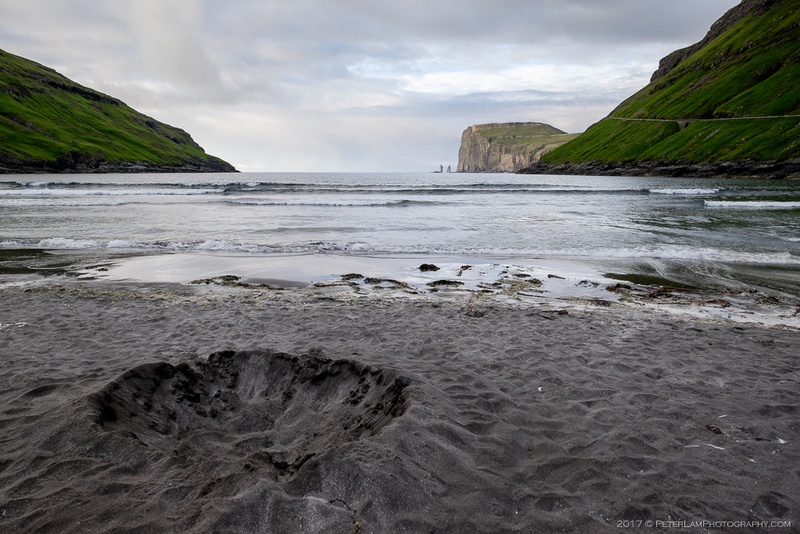 Further attempts were also unsuccessful, and they struggled through the night, but the base of the mountain was firm and they could not move it. 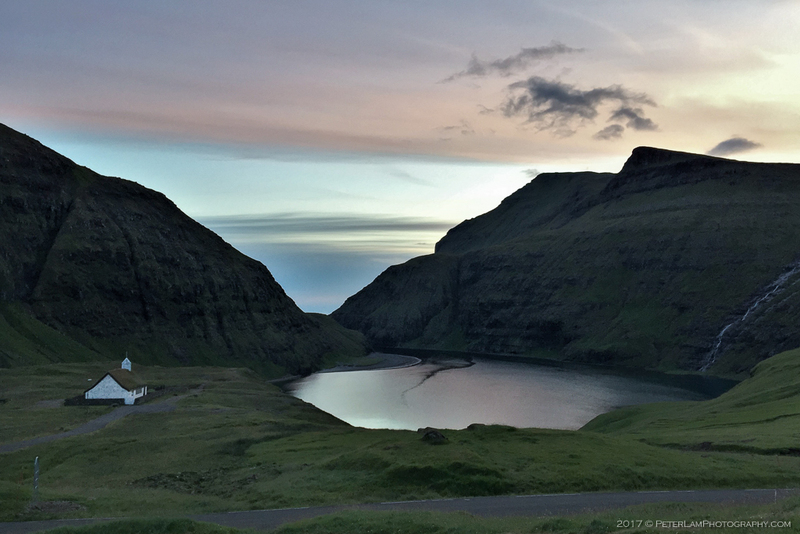 It really is a wonderful place to visit. 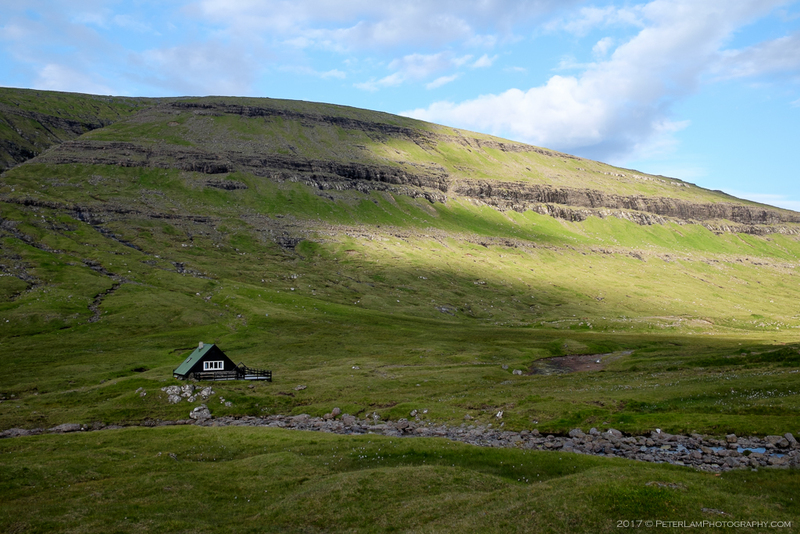 Hiker’s paradise! 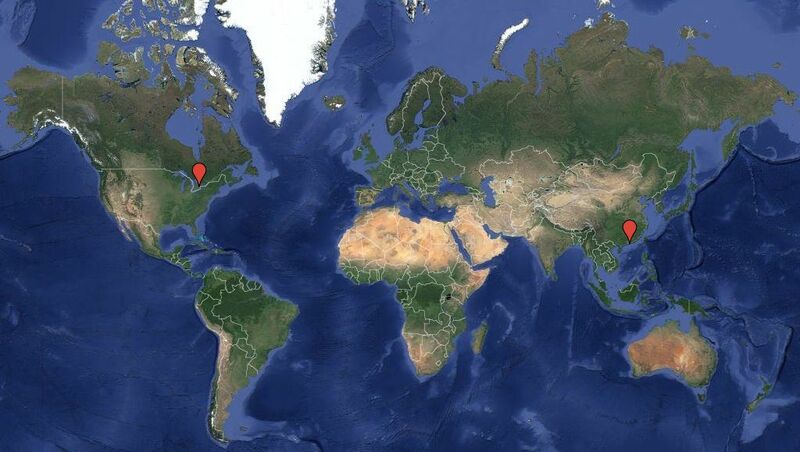 So it definitely looks like! 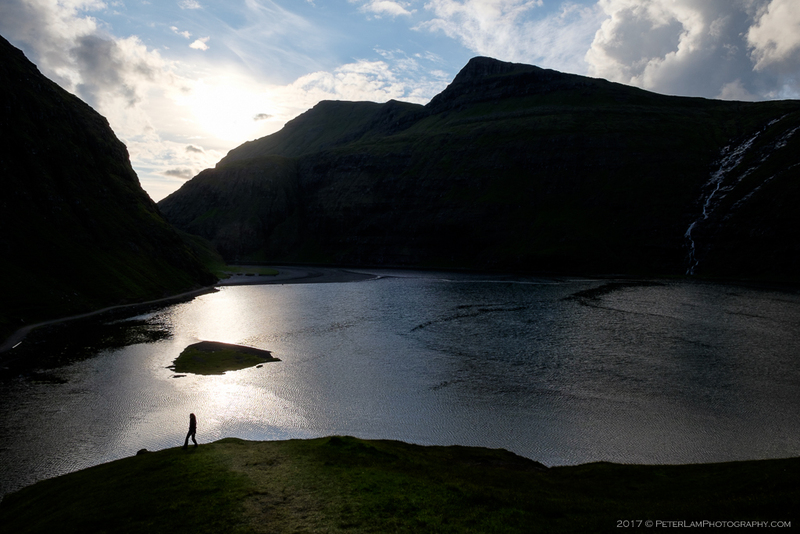 🙂 You have captured the beauty of the place very nicely!